The Encryption means protecting your content from the outsiders and only read by the intended recipient. 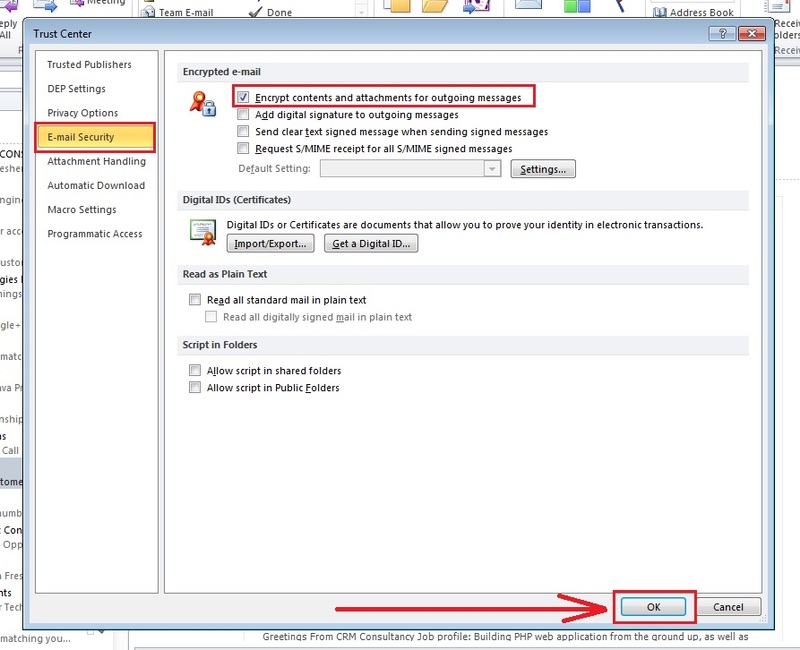 Encrypting an e-mail in the Outlook 2010 means adding the extra protection to your e-mail messages. E-mail in Outlook 2010 needs to be protected and can be protected by converting it from the plaintext into the ciphertext. The only intended recipient will be able to view the message by the method of Decryption. Decryption is a method of converting ciphertext into plaintext. This guide will help you to learn how to encrypt e-mails in Outlook 2010. Step 1: You need to open Outlook 2010. 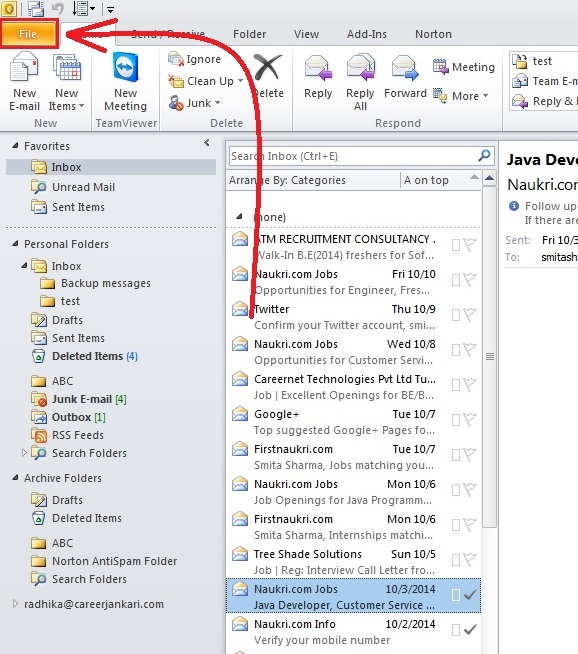 Click on “File” tab at the top of the screen in the Outlook 2010. Step 2: In “File” window, click on “Options” button in the navigation bar. 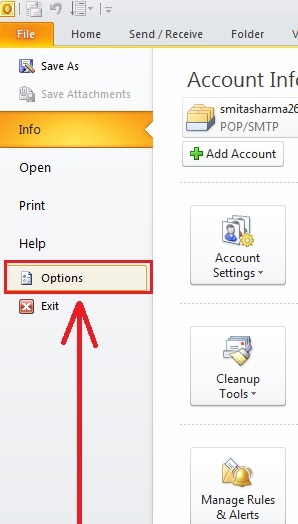 Step 3: “Outlook Options” window will appear, click on “Trust Center” tab at the left navigation panel. Click on “Trust Center Settings…” button. 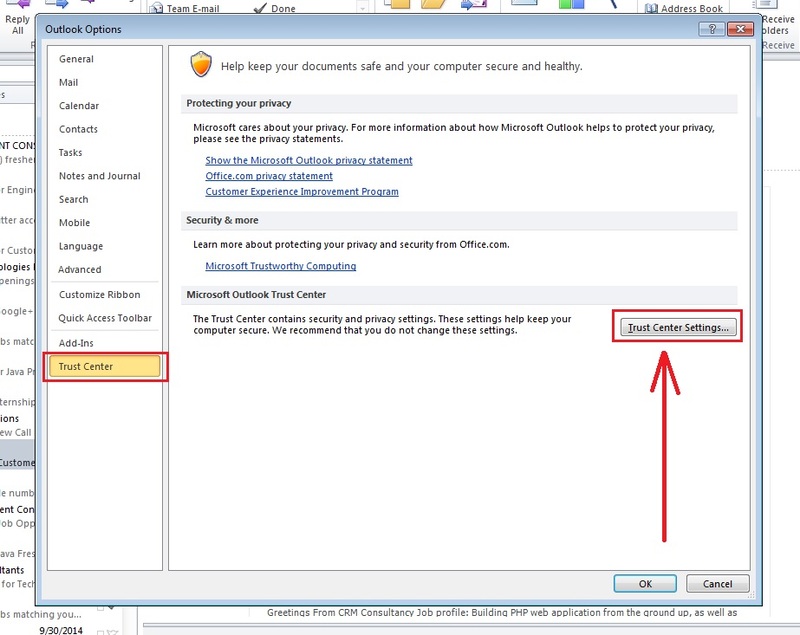 Step 4: The “Trust Center” window will appear then, Click the “E-mail Security” tab at the left panel. Under the “Encrypted e-mail” check “Encrypt contents and attachments for outgoing messages”. And your e-mail messages are encrypted successfully.